Ian Fleming Publications today revealed the title and cover artwork for the upcoming Young Bond novel by Steve Cole. 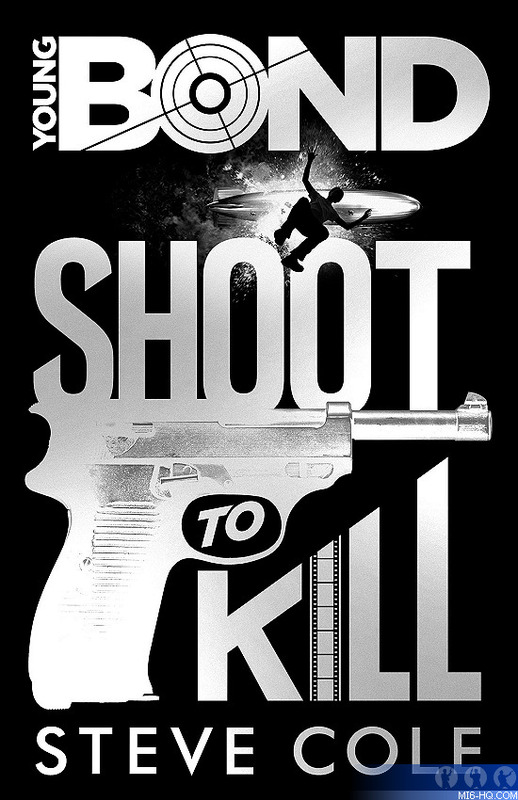 "Shoot To Kill" is Cole's first adventure with Young Bond after taking over from author Charlie Higson, who penned five novels from "SilverFin" to "By Royal Command". Whilst Higson’s five novels charedt Bond’s childhood at Eton and his introduction to the world of espionage, Cole’s first title will pick up where "By Royal Command" left off and will follow teenage James in the aftermath of his expulsion from Eton. This period in Bond’s life has never been explored before and readers can expect all the thrills, action, glamour and tension that are the essential ingredients of a classic Bond adventure. "I first encountered Bond in print as a teenager, when I read 'From a View to a Kill'. Fleming's writing was so vivid and authentic, Bond and the world he inhabited seemed suddenly real to me – and the danger and glamour led me through book after book. It's both a thrilling privilege and an exciting challenge now to be shaping a new era in the life of such an iconic character – with many firsts and surprises to come as James's life in the dangerous 1930s develops," said Cole. "Shoot To Kill" will based in the 'glittering lights and seedy underbelly of Hollywood' in the 1930s when Bond is aged between 14 and 15. The novel will be published in the UK on November 6th 2014.